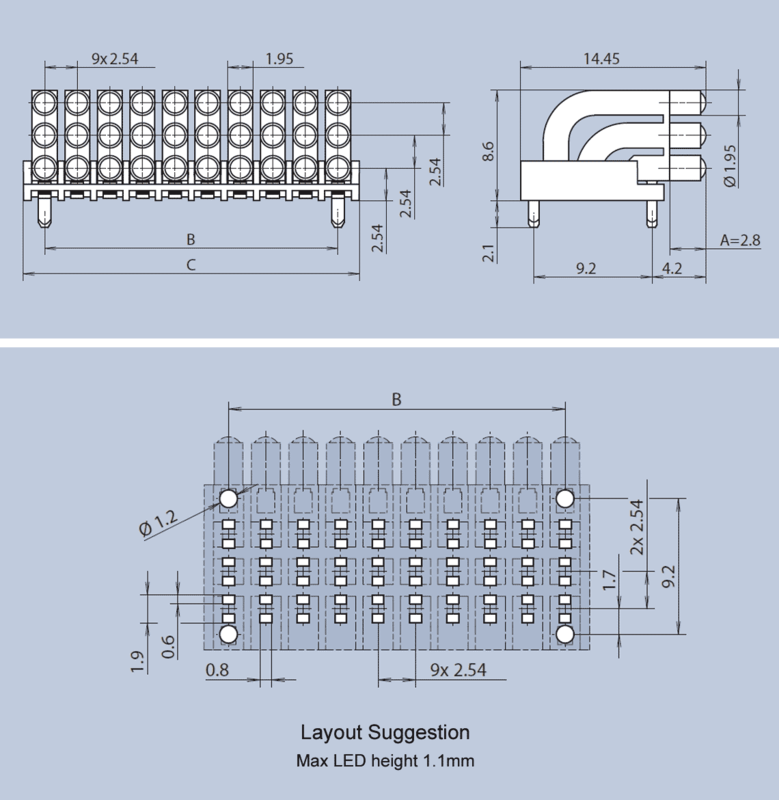 This miniature light guide module is intended for CHIPLEDs type 0603 or smaller, has a grid dimension of 2.54mm and closely-spaced light guide elements of just Ø2mm. An integrated diaphragm prevents light bleed, thus allowing the use of mixed colors with optimum optical quality. The triple row light guide elements can be supplied in versions from 1 column to 10 columns allowing a maximum of 30 radiating surfaces. It is mounted on the PCB is via press-in lugs. Whilst length A is 2.8mm as standard, custom lengths up to 15mm can be supplied, often with little or no tooling cost.